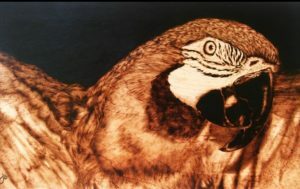 Wood burning is one of the rising art today, as you can see a lot of art pieces around the world using this technique. However, if you will study history, wood burning has been actually a part of the art industry for a long time. Even in the early years, prehistoric people used to draw on walls using burnt sticks. You may notice people embellish some of their wooden stuff, such as a guitar, to engrave their personality or put a label of ownership to it. This has been a trend because people don’t want some other people to steal their things, especially for those people living in a dormitory during school days. This practice can be traced back to wood burning, but people haven’t labeled it as an artist yet. Later on, people realize how great this art can be and begin using wood as their canvass. Wood is the primary canvas for this art, but some people prefer to use other canvasses such as clay, and leather. Many people today have been into this art technique due to its stunning output. Wood burning is also easy to learn and doesn’t cost that much, unlike other popular art forms such as oil painting and wood sculpture. Due to its cheaper costs and customization, many people see the potential of this art technique. 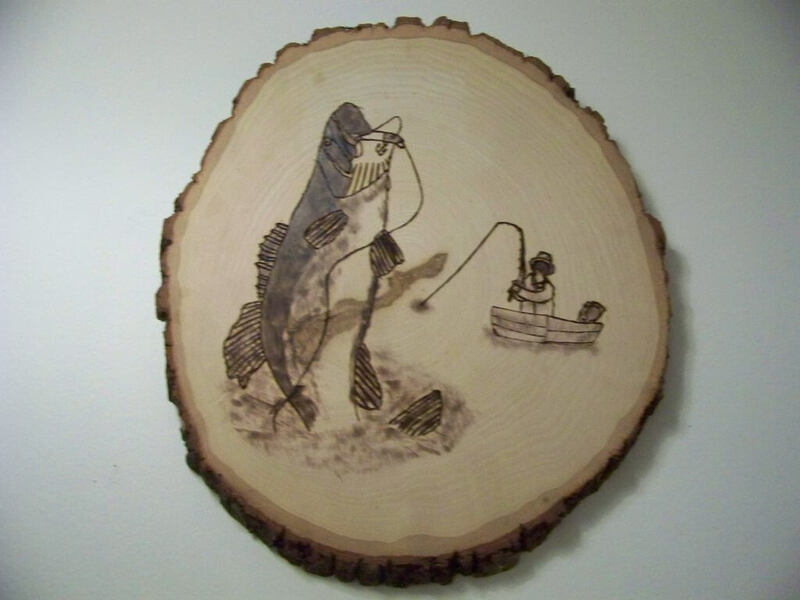 As a matter of fact, you can give DIY wood burn art as presents for your loved ones and friends. You can find many inspiring DIY wood burning art ideas on the internet. Wood burning is also known as Pyrography as it involves heat and its literal meaning is writing with fire. The word Pyrography is derived from the Greek word “pur” which means fire and “graphos” which was translated as writing. Due to the dramatic and exquisite output, many people find the wood burning art as a result of soulful and passionate art. That is why wood burning is a very intriguing art technique and many people want to know how it is done. Wood burning can be a stress reliever, a DIY gift or giveaway and a piece of own art which you can put as a home decoration. Well, this could be your luckiest day as you will learn how to do it so you can enjoy the benefits of wood burning, too. Here are the steps on how to start with wood burning. You will be needing some supplies for this art, you may have some in your home, but there are some that you need to buy especially the wood burning essential tools you will be needing. After your purchase, you need to study your new tools carefully—the wood burning pen and tips. The wood burning pen acts like a regular pen, but it has a metal end and a removable tip, wherein the heat was transferred. You can find some wood burning pens that already have tips on the package and you will save more on such pack like these. The wood burning pen has 3 types; you can choose from one temperature tool, rheostat-controlled tool, and variable temperature tool. The pen you will be using depends on your preference and your budget as well. One temperature burning tool– this tool, as its name stated, has only one temperature which is high all the time. The tip is made from brass. Rheostat burning tool– the temperature in this tool can be controlled, unlike the first one and the tip is also made from brass. Variable temperature tool– the temperature setting on this tool has a wide range of variations compared to the second one. In using wood burning pens and tips, you should ensure safety. Upon plugging your burning pen, you should wait for about 5 minutes before applying for a piece of wood. Use a scrap wood or the back of the piece of wood you will be using to practice. Upon applying, do not give too much pressure or you’ll end up burning your wood deeply. After plugging your wood burning pen, make sure you cool it down first before cleaning so it won’t burn your skin and make sure you have a pen stand or a pot where you can lay it for cooling. Choose a design that is simple and grasps your interest. If you will choose a complicated and detailed design as your first art piece, you will have a hard time accomplishing it. Practice on simpler design such as twigs, flowers, and names. Print it on a piece of paper for tracing, or you can also make using the free hand drawing technique if you are comfortable with it. 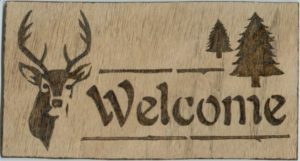 If you are a newbie, you should choose softer woods as a good ground for wood burning art. Harder woods cost much and are harder to be burnt plus they also inhibit darker shade, thus, it is harder to put your art piece in such woods. There are lots of soft woods you can choose from such as Maple, Birch, Pine, Basswood, Ash and more. The softer the wood is, the easier it for you to accomplish your design. In getting your wood ready, you have to clean it using a sand paper to have a smooth texture. Make sure you sand with the grain and not against it or you will just damage your wood and will not be a great canvass. After sanding, make sure to wipe the wood with a damp paper or cloth towel to eliminate the remaining sawdust. Using a carbon paper, trace the drawing from the printed design to your wood. You can also use the free hand drawing technique. You can now burn your wood starting from the outline with just a little pressure, you can use fine point in doing so. After the outline, pay attention to details and the intensity of burning the wood depends on your design and preference. Make sure you have a proper ventilation, you can use an exhaust fan to reduce burning odor. After you have burnt the outline, you can now go on with the shading. This will enhance your art, but you can skip this step if you don’t want to. Use the shading point and apply it to your wood as you are getting the desired shade that you need. After finishing, make sure to wipe out sawdust from the wood and you can now protect it using varnish, oil or polyurethane. Although this is just optional, if you are aiming for long term use then you should do this step.